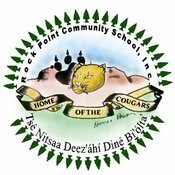 The functions of Rock Point School, Inc. are governed by the Rock Point School, Inc. School Board of Trustees (hereinafter "Governing Board"). The Governing Board members are elected by members of the Rock Point Community. the orgainzation, procedure, power and conduct of affairs of the Governing Board are reulated and governed by these bylaws to the extent that the bylaws are not in conflict with applicable tribal, state, or federal law. The Governing Board will act to maximize the value of Rock Point, School, Inc. to the Rock Point Community, to protect and build the School's curricular and extra-curricular programs, to see that the School is well managed and that it endeavors to achieve its mission and vision, and to keep services fucused on the needs of the students. the by-laws shall be signed upon term commencement. Board Meeting every first Thursday of the Month. Meeting starts at 3:30 pm. Open to RPCS Staff and Rock Point Community.